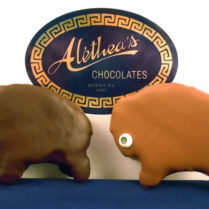 All of our Hockey Chocolates are hand molded from Alethea’s solid, premium milk chocolate. 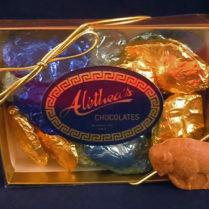 They make great individual favors, gifts, awards, or table decor. 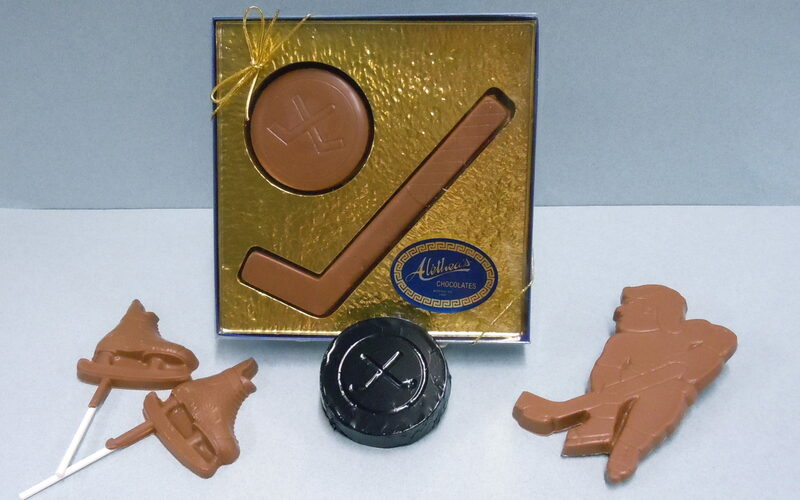 The Hockey Puck is wrapped in black foil, & the Hockey Set is gift boxed. Both the skates & player are packaged in cello bags. Price on Skate Pops is for the pair, in a single bag.